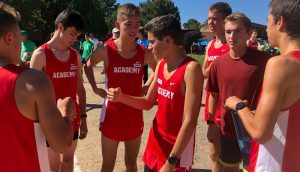 When it comes to cross country, Albuquerque Academy is at the head of the pack right now. The Charger girls are the two-time defending state champs. The Academy boys have won state titles each of the last three years and nine of the last 14. “On the boys side, it’s been a combination of Julian Garcia, Skyler Forman and Justin Hickey, one junior, one senior and one sophomore,” added Kedge. The winning tradition starts early with the younger runners wanting to follow the successful path of the athletes before them. “I thought when I was little I saw the seniors succeeding and I saw them win state and then I wanted to be a part of that team so I worked as hard as I could to do that,” explained senior Zoe Hunter. Consistency is something else they have going for them. Adam Kedge is on his 24thyear coaching at Albuquerque Academy. 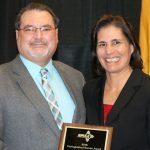 “We do change a little bit every year, but we do believe in working consistently, working hard and working together and any program in any sport working consistently working hard and working together is a great formula for success,” he said. We’ll find out next month if the formula results in another blue trophy.